This post is written by Trip Styler fashion and lifestyle blogger Heather. I've accumulated a handful of hats over the years---straw hats for summer, wool toques for winter, ball caps for weekends and my absolute favorite, wide-brimmed fedoras for any d*mn time I please. 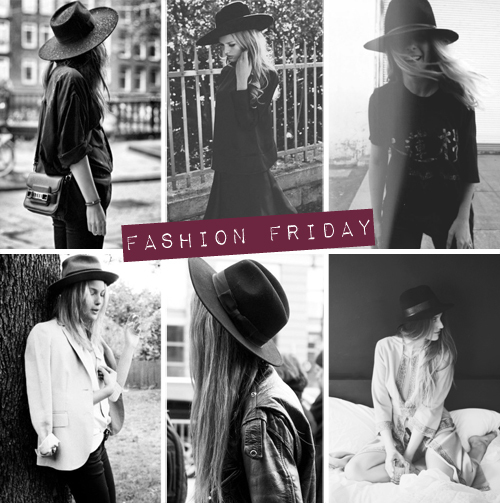 While working as a television stylist and wardrobe consultant, I learned that there are generally two types of people when it comes to hats: people who think they look ah-mazing and people who think they look TERRIBLE. If you don't think you're a hat person, I challenge you to try some on, and then some more, like you're trying on sunglasses---super embarrassing until you the find the perfect style and fit. Hats are memorable. They don't just make you and your outfit memorable, they also remind you of the times in your life when you wore them, like a favorite song or band. I can tell you about all the trips I've taken with my Steven Alan Janis Fedora like I can tell you about all the road trips I've taken listening to "Viva La Vida" or Milo Greene. - They're better than dry shampoo for bad hair days. - They give you an air of mystery. - They stave off the cold. - They automatically create a "look." - Forget trends and go for one that makes you feel fabulous. - Try it on in person. - Know your hat size.